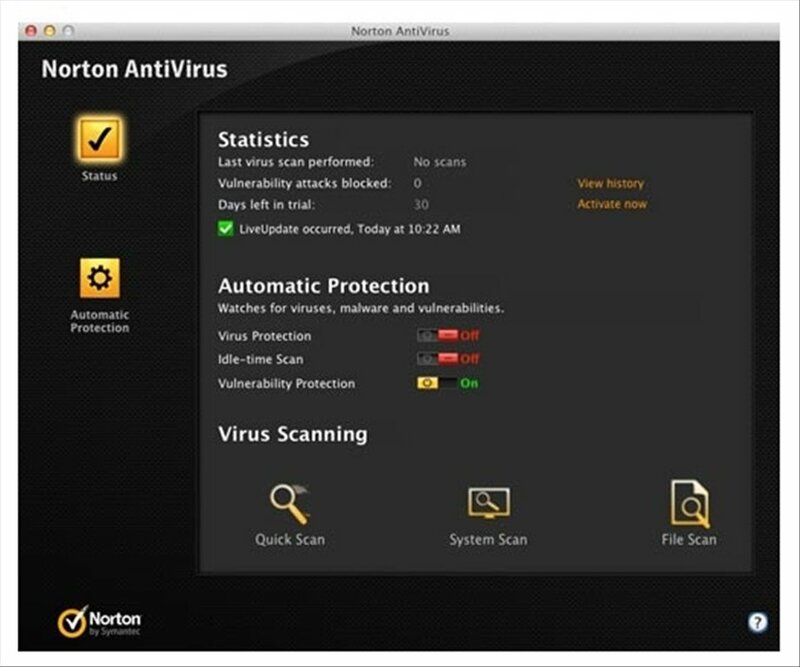 Norton AntiVirus is a computer security program developed by Norton, one of the leading companies in what regards to protection against malware. 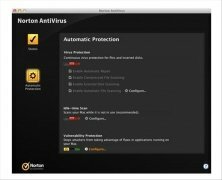 Now your Mac will also be protected with Norton AntiVirus for Mac. Or did you think that you were safe from infection due to the fact that you use the Apple operating system? 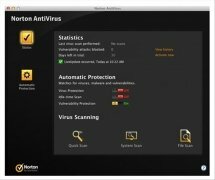 Automatic antivirus application that is very easy to install. Analyze your Mac OS X operating system, detect security threats and eliminate them completely. Remove viruses and spyware automatically. Examine downloaded files, attachments, emails, etc. Doesn't jeopardize the system's performance. Send infected files to quarantine if you can't eliminate them. Schedule automatic explorations and use the Snooze function. 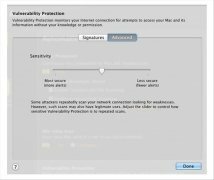 This security product is perfect to protect your Mac from the latest security threats that have appeared. 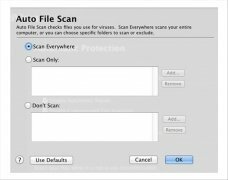 It's true that the amount of malware that attack Mac computers can in no way be compared to those that attack Windows, but this doesn't mean that they are free from being infected by viruses, worms, trojans and spyware. Download Norton AntiVirus for Mac and you'll have the ultimate protection and security tool. Requires Mac OS X 10.7.